Take Your Church Up A Notch For Under $2,500! If you had a $2500 budget to spend on improving your church for a better welcome, where would you spend it? This could be a great discussion starter for your hospitality committee to help reveal some dreams and vision development. Use it as a brainstormer an capture the ideas. 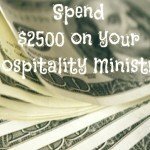 If you had $2500 to spend, what would you do with it to improve your guest experience of your church? In today’s guest article, my friend Richard Hong shares what they did at their church. I’ve known Richard for a few years and appreciate several of his insights. I even did a podcast interview with him some time ago, which he refers to in his article. Short and sweet: too often churches think they don’t have the resources to professionalize aspects of their ministry. Here are a few things you can do to improve your church for less than $2,500. First, improve your Web site. We were able to vastly improve our Web site in no time by using Clover (www.cloversites.com). (Editor note: Read what others are saying about Clover here). Their preset designs are clean, image-driven, and appeal to younger eyes. You edit your site from any browser – no special software needed. 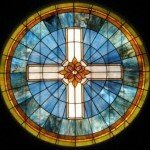 They support Google Analytics, a free tool from Google that lets you get incredibly detailed reports (I can tell you that in the last 30 days my church’s site at www.englewoodpres.org received 490 unique visitors who saw an average of 4.53 pages and stayed for 3 minutes and 51 seconds). Even better, your site automatically maps to a version designed for mobile browsers (20% of our hits are now coming from iOS or Android devices). The startup cost? Only $1,000, plus $240/year. So far we’ve spent $1,240. Second, add a pager system to your nursery. Parents, especially visitors, are attracted to a secure nursery. A pager system gives parents the comfort of knowing they can be reached if needed. We opted for the SmartCall system from HME Wireless (www.hmewireless.com) because it allows sending any one of eight preset text messages. This way you can communicate with parents for a variety of reasons (“please come” or “diaper need”) – the message that sold me was “Baby OK”, so if a child is upset when the parents leave, you can inform them that their child has settled down. The cost of a 12-pager system was just under $1,000. To make the system work, order nursery labels from www.churchnursery.com. These labels serve as an identifier and a “claim check” for the child. A pack of sequentially numbered stickers/stubs is $30. So that adds another $1,030 to what we spent before, bringing us to $2,270. Third, add parking attendants on busy days. Unless you have more parking than you ever need, you need to have a crew out there letting people know when the lot is full (so they can drop their passengers) and then directing them toward on-street parking. This is especially important on Christmas Eve and Easter. We use volunteer attendants of course, but they are equipped with safety vests (from Amazon.com, $7, Boston Industrial Safety Vest with Reflective Strips – Lime Green) and flashlights with signal cones (also from Amazon.com, $6, Dorcy 41-1482 2D Deluxe Krypton Flashlight with Safety Cone. We have three sets for a total of $39. Now we’ve spent $2,309. Fourth, use press releases and invite local reporters to your events. This one costs you nothing. 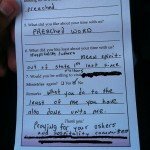 I participated in a podcast with Chris Walker of evangelismcoach.org a couple of years ago on press releases (link here) – and the beauty is that these are free. But another simple piece of follow-up is to invite local reporters to your events. Here is a link to a great article that was just published in a local paper about our Thanksgiving celebration. Why did the reporter and photographer come? We asked. It cost nothing so we’re still at $2,309. Fifth, set up tables and chairs at your coffee hour. I’ve said it before and I can’t stress it enough. Provide seating at your coffee hour; don’t make it a mostly-standing event. When people sit, they talk. When they talk, they connect. When they connect, they return. And use large tables, preferably the 60″ rounds that seat 8. Because people are hesitant to join strangers at a small table, but a large table implicitly invites people to take any empty seat. So how am I going to spend that last $191 to get us to $2,500? On a supply of tablecloths. They can be disposable vinyl tablecloths; buy a stash at a dollar store, replace them frequently. But a bare table is uninviting. $2,500 and you have a professional-looking Web site, a more secure nursery that is attractive to young families, provide a better welcome on busy days, free publicity through press coverage, and a better environment for your guests to connect. There’s no reason not to do these things. Now. Note: Links to Clover and Amazon are affiliate links that will benefit our ministry in Latin America. 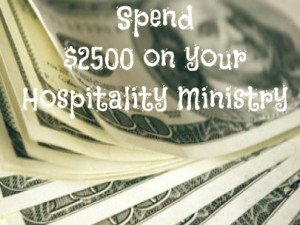 What would you spend your $2500 on to Improve your church’s welcome? Answer below. 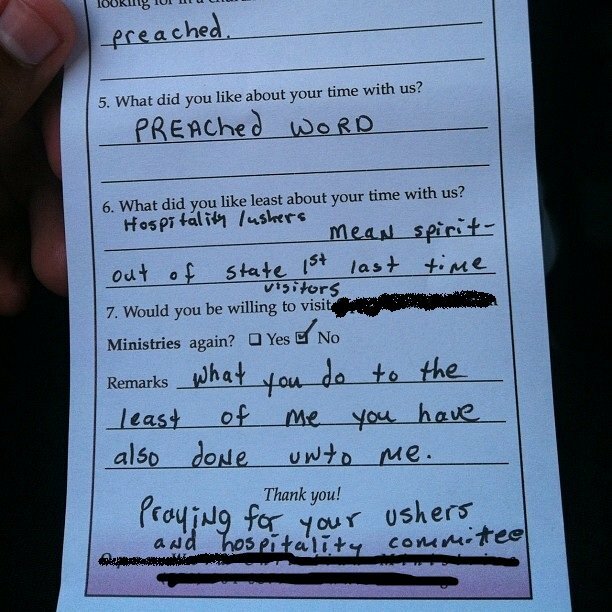 Someone had a really bad experience visiting a church – so bad they shared it on twitter. I blacked out the church name. The visitor card pictured to the right came across my Evangelismcoach twitter feed this week. Can potential first time church visitors find out the information they need on your church website landing page? What do you think are some of the most common questions of your website visitor? What does the building look like so I can recognize it? Would I fit in with these people? Let me use the term friction in a way you might not be used to. Friction would be the unintentional clutter that hinders your home page from answering the question in the mind of the user. Of course, you can’t know what that question is, but you can certainly do a good job guessing. Today, I had a need. Via google, I visited two on-line stores to solve that urgent need. I visited their website, couldn’t figure out the product offer. How can that company meet my need? I found the free trial button, but wasn’t sure what I was trying, or if I could solve my need right away. A customer service person will be in touch with you shortly. Result: I still had an urgent need, and they got my email address. I visited their website, and they had a simple 3 word slogan that showed how they could meet my need. I easily found the free trial button. I signed up and got to do what I needed to do right away. This company had my money for their service, and my need was solved. Result: Done in 5 minutes, and I happily paid the reasonable fee for service. Back to store Number 1. An hour later, a sales person from Store number 1 was still emailing me questions about what types of additional services did I need, what size company I was, and all sorts of census information. Two hours later, they were still asking me their “custom questions” to “design the right program” for my need. My advice to them: solve my need and then I’ll tell you more about me so you can upsell. What does this have to do with your church? How many clicks must they take to find a map to your church? 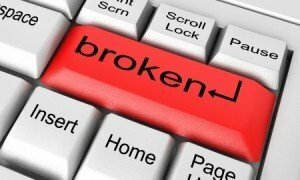 Some websites put their contact information 3 page levels down. Contact Us –> Mailing Address –> Answer. Sometimes that page doesn’t even have a map, or even a link to a map. Instead, put your mailing address at the footer of every page, along with a internal link to the webpage that has an embedded map and driving directions and picture to your building. How many clicks must they take to find your service times? Make sure you put that on your home page in a very visible area. While I’m not a complete expert in church webpage design, there are some instant usability adjustments you can make to hep reduce friction for your visitor who may be looking at your website as part of their decision making about attending your church. 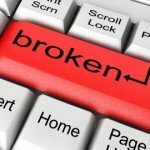 Consider your current church website. How many clicks does it take for a first time visitor to find out answers to these questions? Let me give you a three pointers to increase your congregation’s impact this Easter. 1. Do a hospitality review. Give your systems a look over to make sure they are up. 2. Plan an special service will increase your word of mouth invitations. Hopefully, you’ve started already. Many people are more comfortable inviting people to church rather than talking about their own faith. This Easter, plan your outreach in such a way that people will naturally invite others to your church. If someone visits your website home page, can they find out when and where your special services are? Will your website help people find your church?